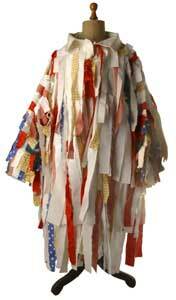 Master Mummers - Book Review: "Who Wants to see the White Boys Act?" 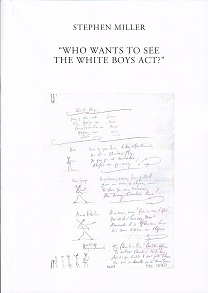 Book Review: "Who Wants to see the White Boys Act?" Stephen Miller is well known for his work on the folklore and the folklorists of the Isle of Man, publishing articles in Folklore and elsewhere. This is one of a series of compendia of Manx source material; the fruit of many years' research. This is very much a reference book. It is a comprehensive collection of sources, usually reproduced in their entirety, and augmented with erudite and perceptive footnotes. There is, however, no summary or analytical description of folk drama on the island, although there is a useful set of appendices and tables that collate data from the various sources. While it is not a light read overall, some sections are interesting reads in their own right, such as the transcribed interviews, the longer introductory passages, and the reprinted articles. The interviews in particular impart a feeling of what it was like to participate in the plays. The first two thirds of the book - the main part - is made up of eleven sections, some dedicated to particular archival sources, and some containing groups of smaller published and manuscript records. The remaining third is made up of indexes and the aforementioned appendices and tables, which come under about twenty main headings. One section reproduces the texts of the six known full White Boys scripts. This is the section that together with fragments of text from the other sources will probably be of most interest to performing groups. Five of the scripts evidently draw on English and Irish chapbook texts, but the earliest script (published in the Manx Sun in 1832) seems to be a unique literary composition paraphrasing the traditional form. If it feels like the book has more than six scripts, is it because they are repeated elsewhere. In the scripts section, they have been regularised into conventional play script format, omitting any associated contextual information. Elsewhere, the complete original versions are given along with their accompanying descriptions and narrative, and with replicated crossings out and corrections. Miller excels when it comes to biographical information on the people named in the accounts, discussions of provenance, and the relationships between sources. In many cases the notes are much longer than the items to which they relate, and they contain much of interest to Manx folklorists, over and above folk drama per se. The book is not without its frustrations. The cover is visually disappointing, and the structure of the text and reference numbers seem over complex. The copious footnotes would have been clearer laid out as itemised lists, rather than run on continuously. Only a couple of images accompany the list of photographs and museum objects. I also noticed that some texts in the tables of character names are marked erroneously as having Devil Doubt instead of the Doctor. Some of the oddities and the omitted images no doubt reflect the logistical difficulties of researching the Isle of Man while based at the University of Vienna, but the book would have benefited from the services of a good editor. Notwithstanding the above points, Miller's book will be invaluable to serious students of folk drama and Manx folklore. It provides a firm foundation for further research, and prepares the ground for analytical essays on Manx folk drama.